The Bison Transporter: Top 10 Blog Posts of 2016! We started the Bison Transporter blog two years ago to inspire and inform our readers, and stimulate discussion in the trucking industry and we’d like to think it’s serving its purpose. 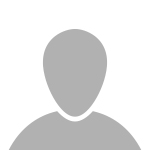 Since the blog’s inception, we’ve written more than 150 blog posts and have gained many loyal followers (Thank YOU!). This year alone, we published 64 blog posts. At roughly 500 words each, that comes in at 32,000 words about Bison’s Drivers, culture, safety and news and views on the trucking industry as a whole. Thanks to the nifty WordPress statistics tool, we’ve been able to see which of our posts were the most viewed this year. We’re happy to see that our most popular posts are all over the map, from safety tips, to new equipment overviews, to Bison’s community contributions. So, without further adieu let’s take a look at the top 10 Bison Transporter blog stories of 2016. We hope you have just as much fun reflecting on this past year as we have! 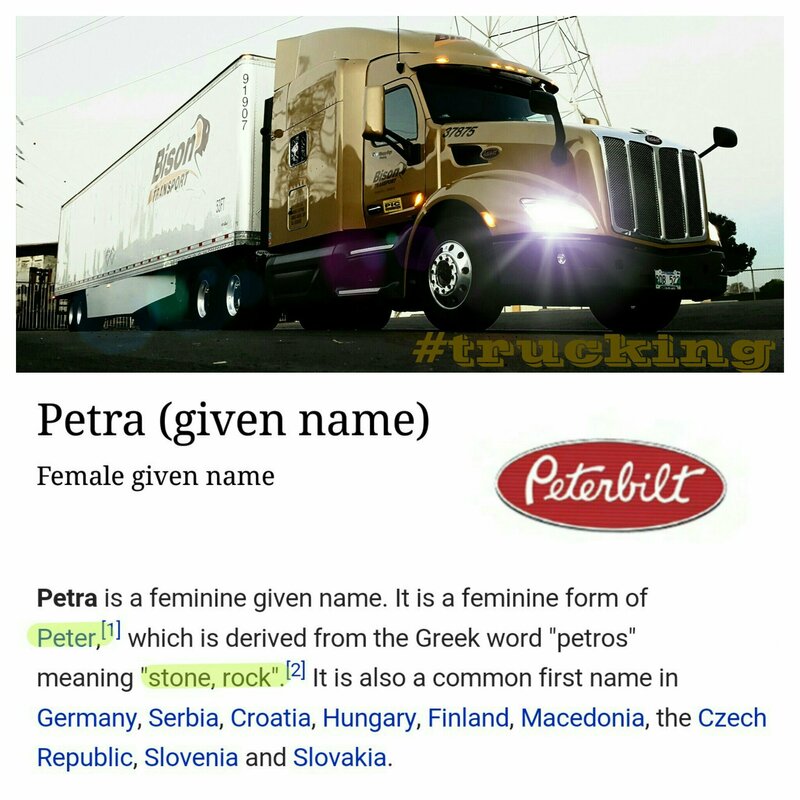 Coming in at number 10 is Roger Mansfield’s love note to his Peterbilt tractor. You first met Roger as part of our DAHON Folding Bike contest. Roger emailed us this blog post he wrote about his Peterbilt truck, Petra, wondering if we wanted to post it to the Transporter. We gave it read, and found it heartwarming. Apparently, you did too! At Bison, we invest in our people. When we tell our people and our industry about these investments, it seems to go over well! In 2016, Bison announced a pay increase for our Owner Operators, which saw an approximately $4,000 net annual increase in our Owner Operator Driver pay. This year, Bison once again participated in the World’s Largest Truck Convoy for Special Olympics. We saw our largest turnout of Bison trucks to date, with 30 trucks in the Manitoba Truck Convoy, and also had trucks participate in convoys in both Toronto and Calgary! New York City? No, thank you! Canada-US Short Haul Driver Peter Dundys sets skeptics straight with this post about driving in the busy metropolitan Northeast US. Peter has a key piece advice to pass on to professional Drivers curious about running through New York City or New Jersey. Don’t be intimidated – it’s just like driving in Toronto. 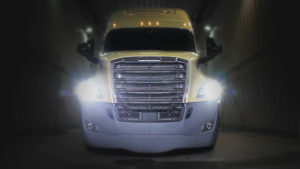 in North America so that we can provide feedback on the truck’s performance. Bison’s award-winning Driver Jack Fielding was chosen to test the fully redesigned high-tech tractor! Watch for Jack on the road and give him a wave! At Bison, we’re committed to providing our Drivers total compensation, ensuring they are able to maximize their earning potential. This year, Bison made another major investment in our Company Drivers by raising base rates across most of our fleet. By investing in our Drivers, we see the benefit of a stable, committed and happy fleet. Good news for our Drivers travels fast! As North America’s Safest Fleet, safety is at the forefront of all we do. We put together 10 important safety tips for professional Drivers to prevent injuries and avoid dangerous situations while on the road. We are happy to see these tips make the Top 5 posts, as it means our readers care about safety just as much as we do! We’re quite sure that “be your own boss” might be one of the most popular Google searches out there at more than 50,000 searches each month. So, we’re not surprised to see this post make the list! Being an Owner Operator essentially means being your own boss. We spend a day on the road with Bison Driver Muhammed to give our readers and viewers and inside look at life on the road as an Owner Operator. Sometimes the weather in Canada can be unpredictable, and since we have terminals across the country, our Drivers – and anyone who spends a lot of time on the road – ­never know what they might be faced with. This post offers up some safety tips for readers and Drivers for driving in snow, rain or fog and we hope they’ve been put to good use! 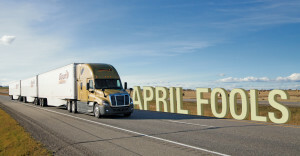 Coming in at almost 5,000 views to date, our April Fools post about launching a 3-Trailer XLCV fleet tops the list of most-viewed blog posts. While we have a serious focus on safety and sustainability, we also know it's important to work fun into our day-to-day operations when we can. We’re happy to see that Bison’s innovation and focus on sustainability is something our readers find engaging, though, we won’t be launching an XLCV fleet anytime soon. What topics would you like us to write about in 2017? Let us know by commenting below.